Packaging & Delivery Balance should be paid before loading containers. By train, from Guangzhou South Station is 55 mins to Xinhui Station. Our factory is only 5 kms from the Xinhui Station. ,Ltd is located in Luoyang city where is the base of office furniture. High quality and reasonable price brought us large market and make many friends. Raw material: we have long term cooperated supplier for stable offering raw material; B. 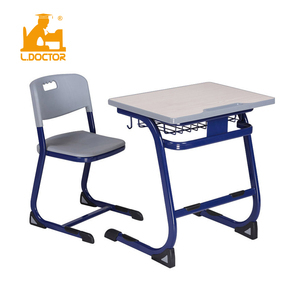 Hot Sale School Desk And Bench Usage Suitable for school. Packing details With poly foam inner lining and multilayer carton box outside. 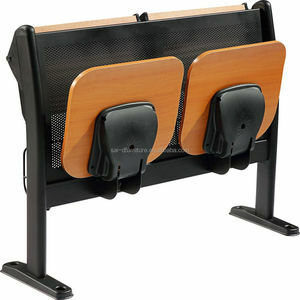 3.You can adjust the height of desk and bench freely 4.Foot cap: PVC plastic, black. The steel sheet for b ook basket is 1.0mm thickness A forming die casting . However, we are guarantee, we will return the sample fee to you,once we confirm the first order. We could confirm the payment term, delivery time,shipment,and other parts. All our products are durable in use, exquisite in design, excellent in quality and reasonable in price. 2. 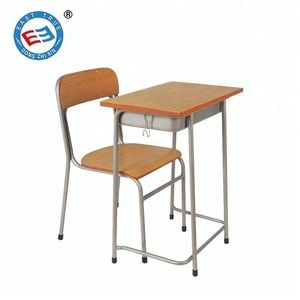 We are specializing in manufacturing and exporting school and office furniture over twenty years. 3. All our products are durable in use, exquisite in design, customize also accepted. Q- 3. Can you offer free sample9 &bull; Negotiation. Q- 8. Can you produce customized item9 &bull; Different dimensions and styles are available. Q- 9. What about the delivery time9 &bull; 15-30 Days depending on the quantity ordered. 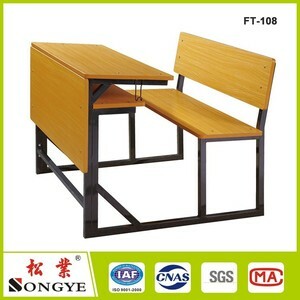 Specifications wood and metal school desk and chair Used in public areas and schools Steel frame HFL fireproof plywood Slow rebound system Tianzuo Steel Frame wood and metal school desk and chair Application: 1. stadium / 2. meeting room 3. theater / 4. hall 5. school / 6. church 7. company / 8. training room 9 . 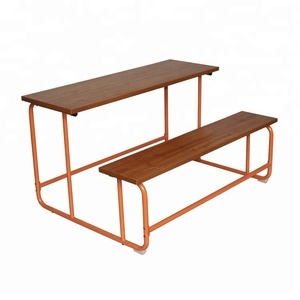 5.Book Shelf: Using cold-rolled steel with surface powder coating. 6. Rebound system: Using gravity rebound system . 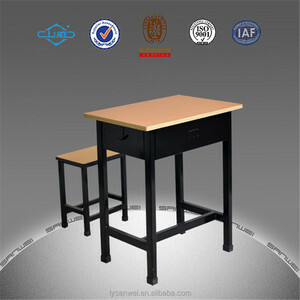 Alibaba.com offers 1,262 school desk and bench products. About 63% of these are school sets, 13% are school desks, and 1% are children tables. 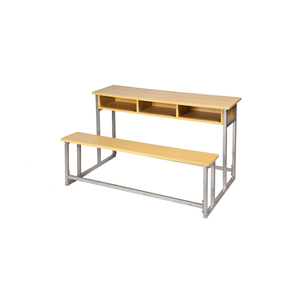 A wide variety of school desk and bench options are available to you, such as wood, metal, and plastic. You can also choose from free samples, paid samples. 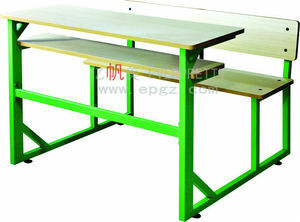 There are 1,262 school desk and bench suppliers, mainly located in Asia. The top supplying country is China (Mainland), which supply 100% of school desk and bench respectively. 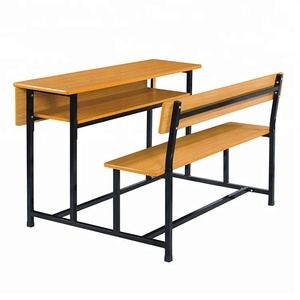 School desk and bench products are most popular in Mid East, Africa, and Domestic Market. You can ensure product safety by selecting from certified suppliers, including 787 with ISO9001, 503 with ISO14001, and 472 with Other certification.